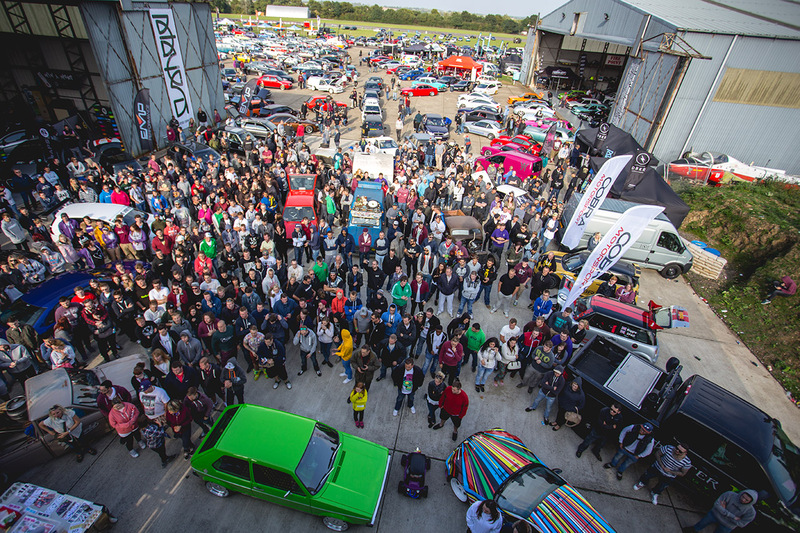 Players Show 2014 has come and gone, and what a show! 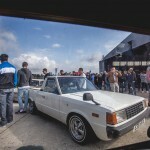 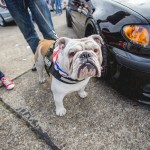 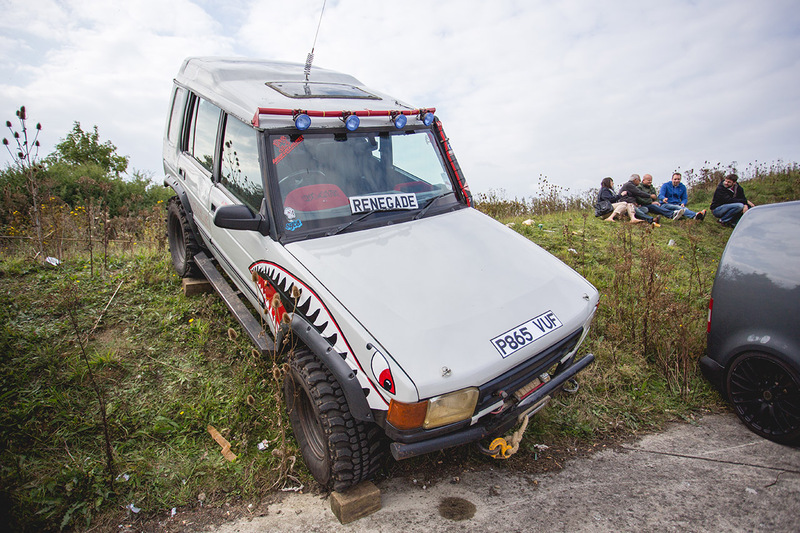 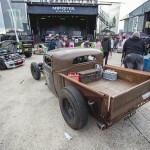 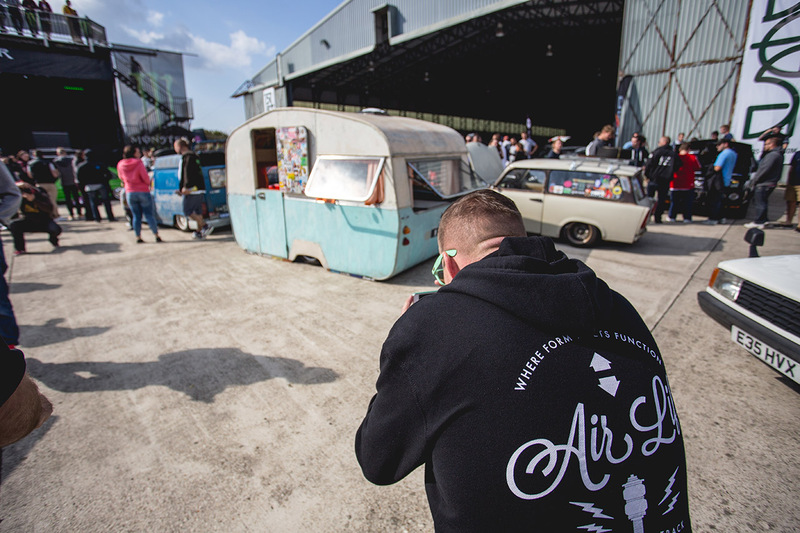 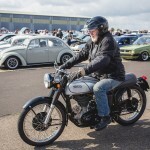 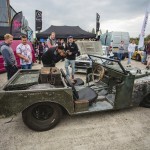 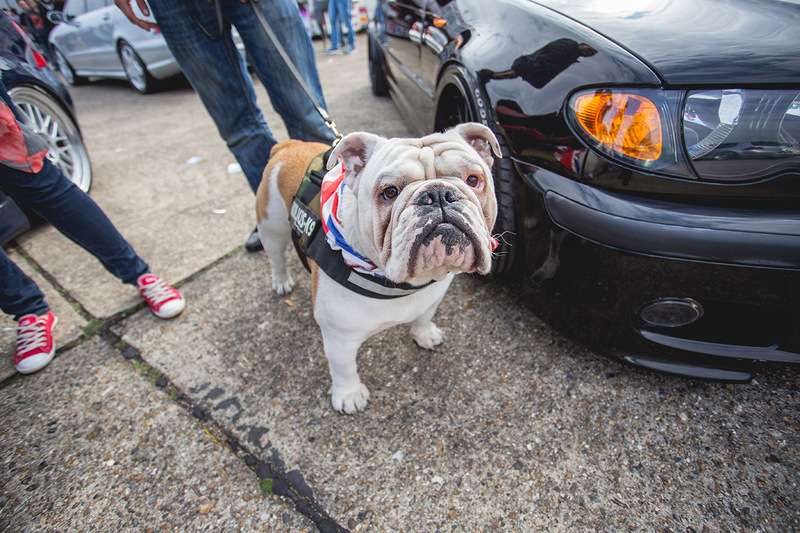 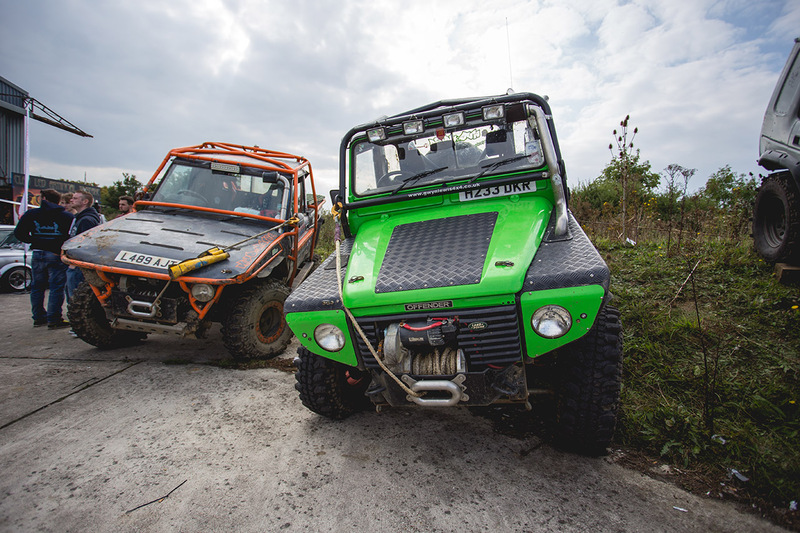 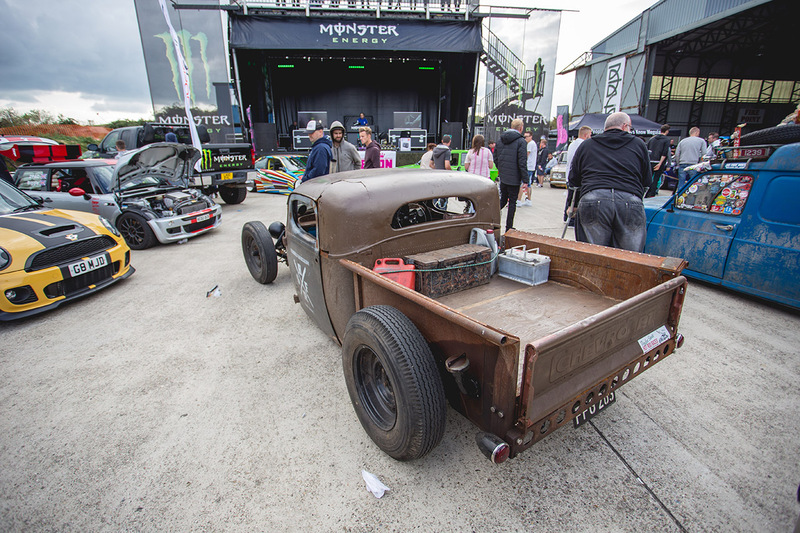 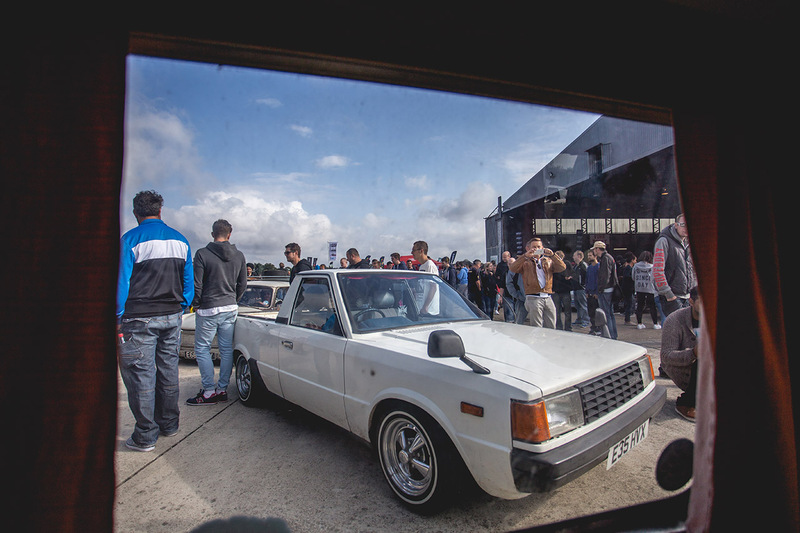 This year saw the most diverse UK show branch moving out further—to cover even more automotive tomfoolery—and the Air Lift team was there to experience it. 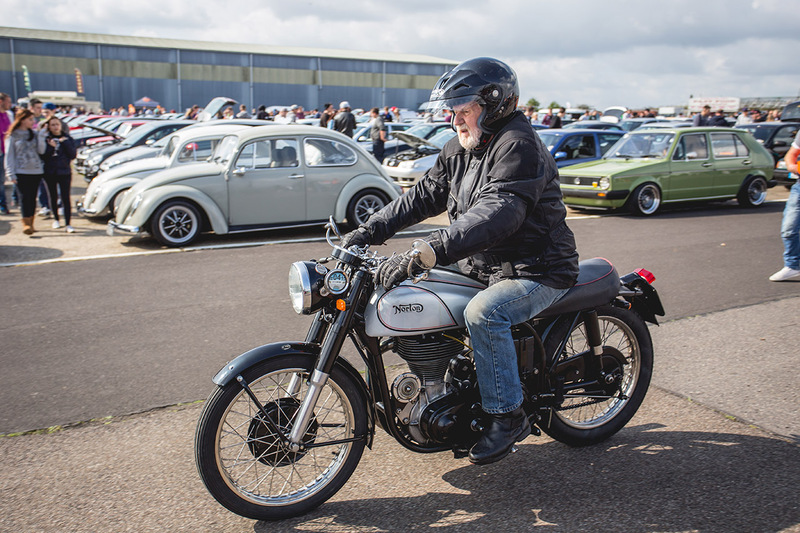 Thousands of people turned up again this year to see what the eclectic Players show had to offer. 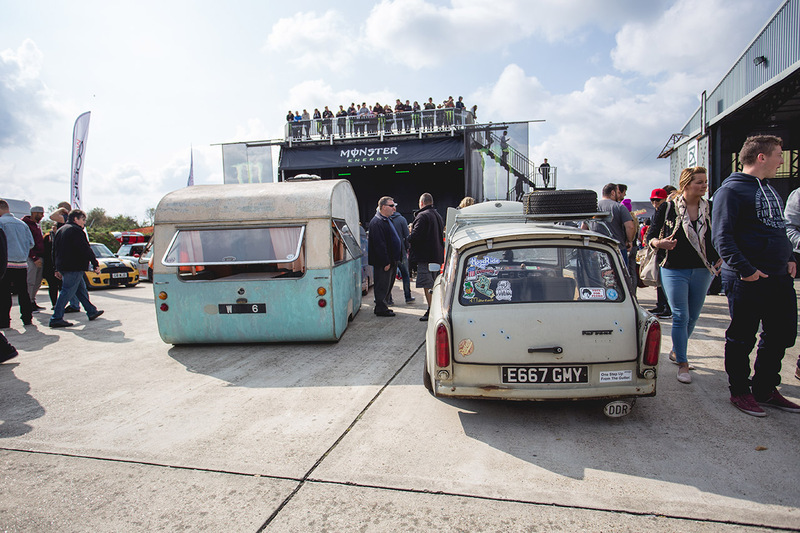 Taking centre stage were projects from the Player’s table. 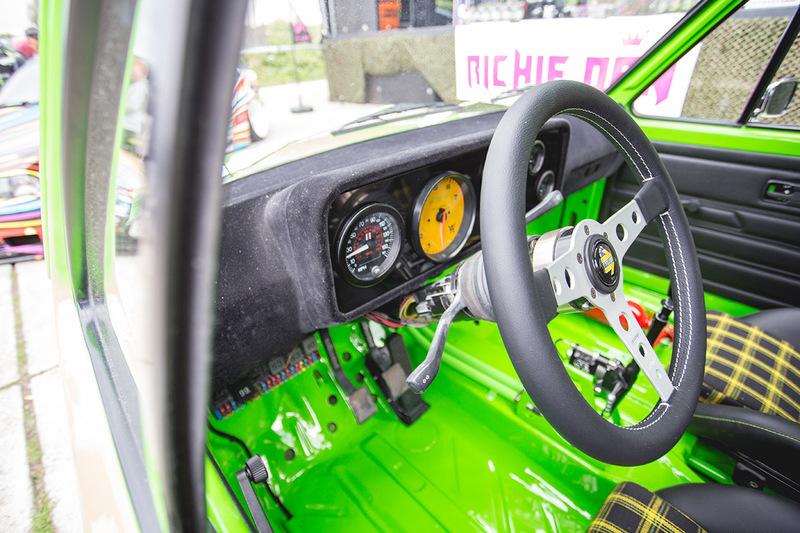 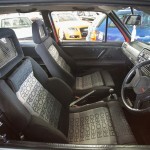 Jay’s freshly painted MK1 was hard to miss with its contrasting bright yellow interior trim, taking more than just cues from older 911 styles the car also used a 964 tacho and floor-mounted throttle pedal. 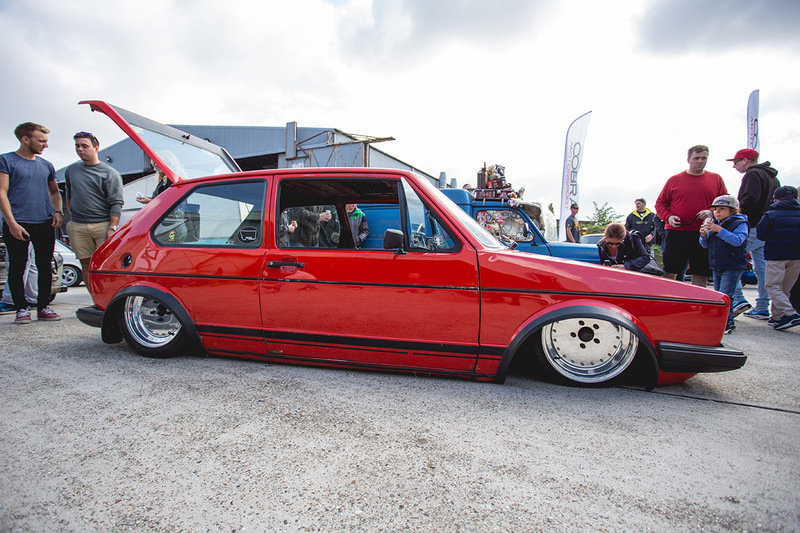 To get the MK1 down over the fully polished, bespoke Rotiform wheels Jay is using an Air Lift Threaded Body air ride kit. 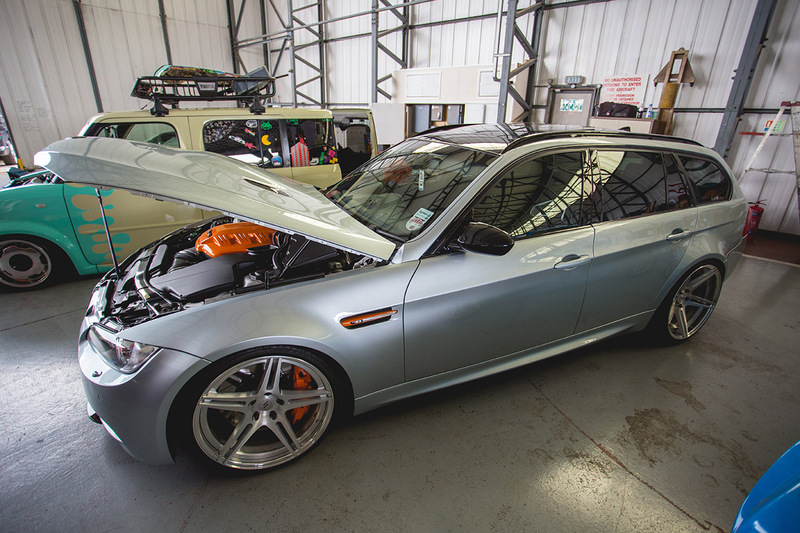 Just over from the MK1 was another of Jays projects, proving he’s been a busy boy this year. 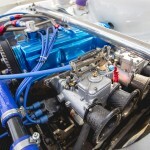 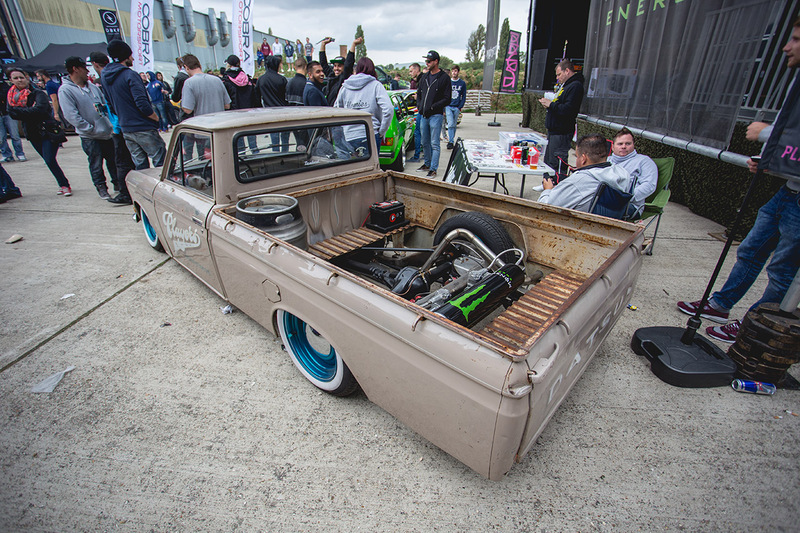 Jay’s Datsun has its Air Lift credentials on show, with the custom Monster Energy tank nestled in the bed and featuring the custom Air Lift bag setup. 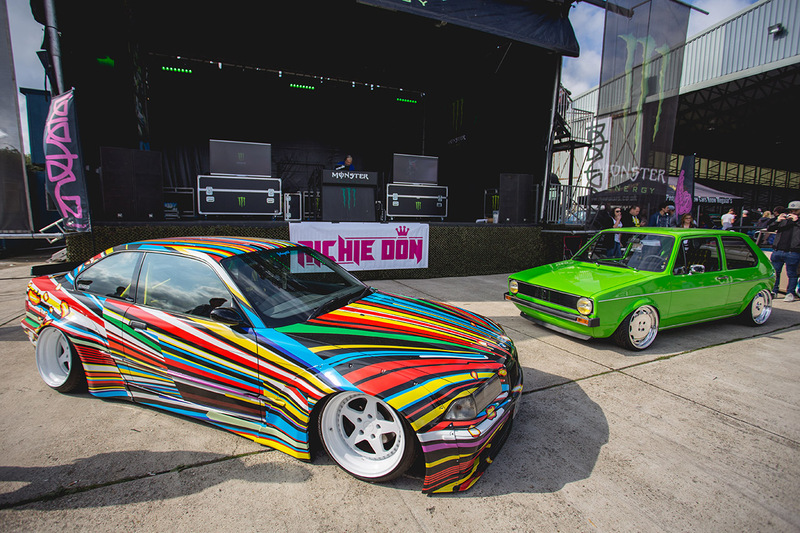 In front of the DJ booth was the Players BMW 3 series, packing Air Lift air ride, new Rotiform wheels and that distinctive Sarto Racing/art car bodywork. 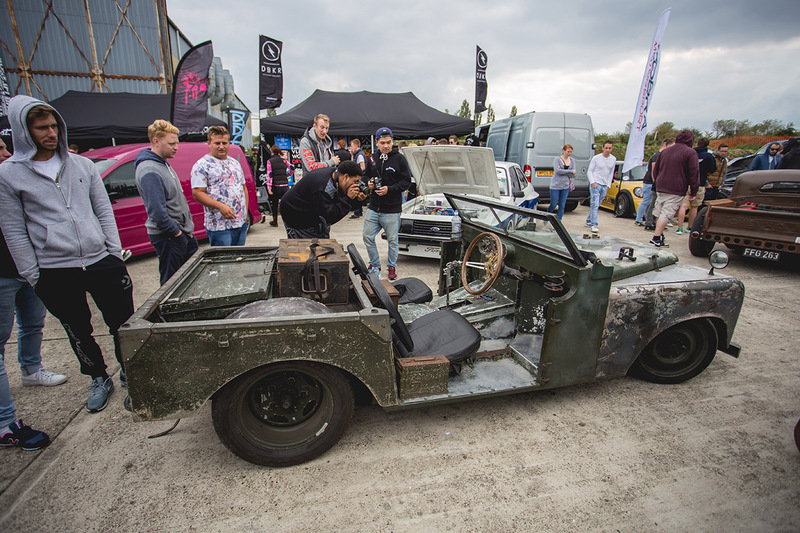 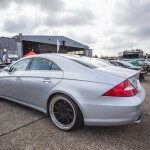 Elsewhere, the hangars and hardstanding at North Weald Airfield were crammed with every type of modified car you could think of. 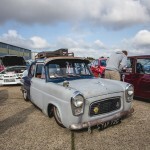 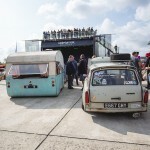 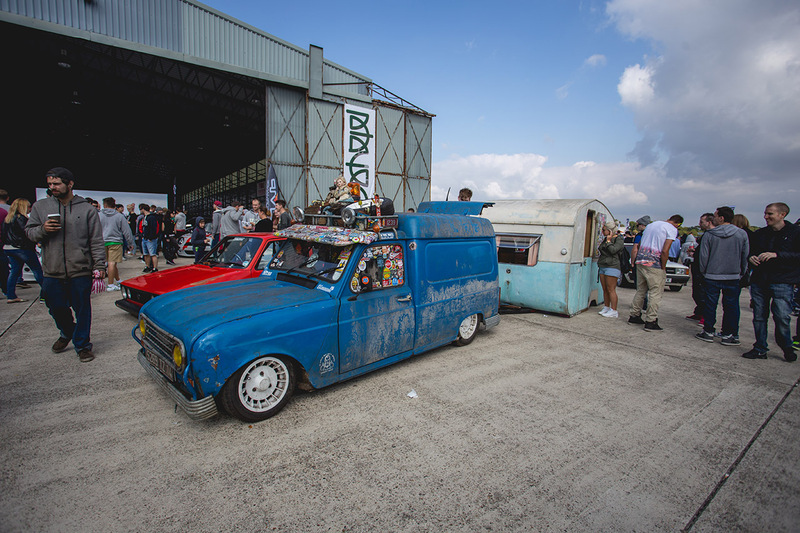 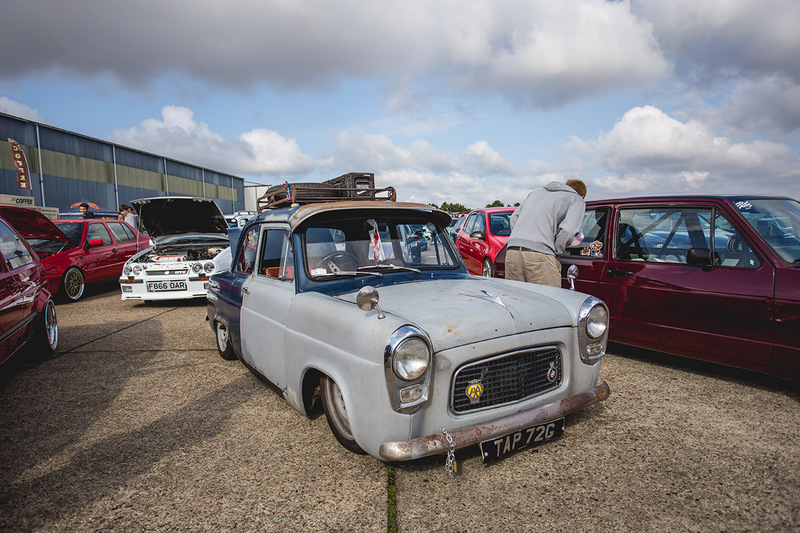 Air Lift choice for car of show went to Lee Crouch’s unusual Renault 4 van with matching slammed caravan, taking camping to a whole new (lower) level! 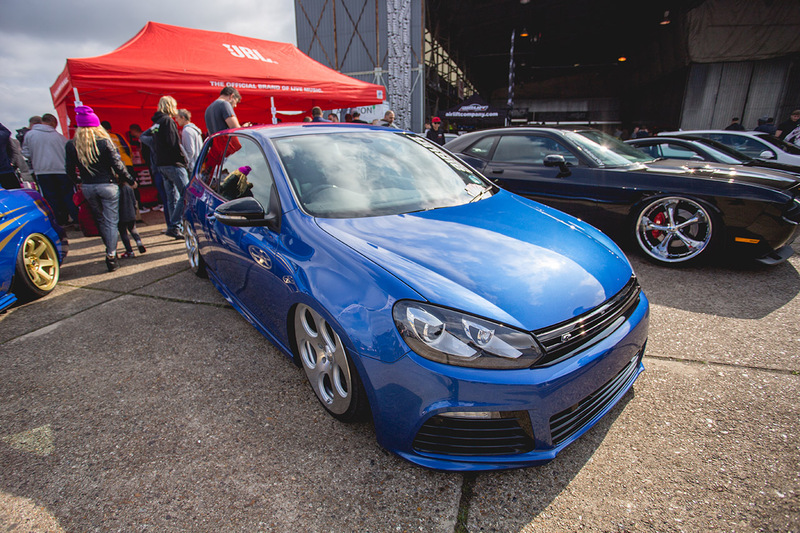 Air Lift dealers Car Audio & Security were at the show in force, showing off their new Dodge Challenger demo car. 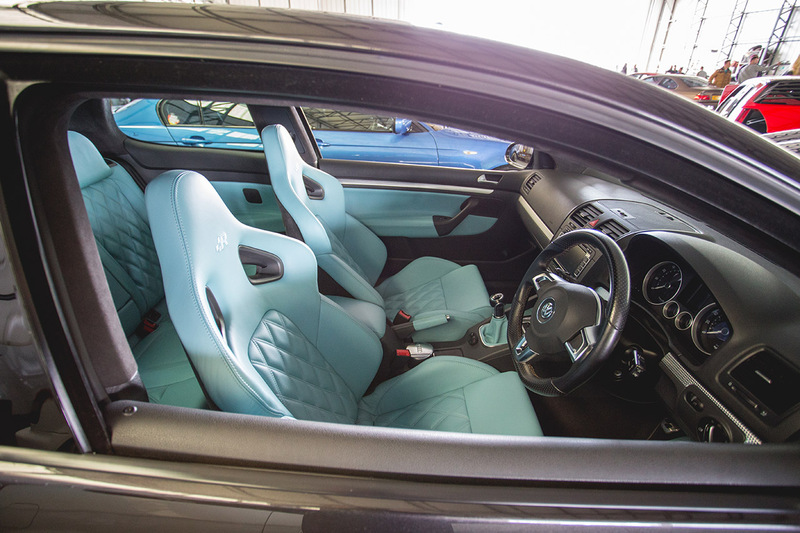 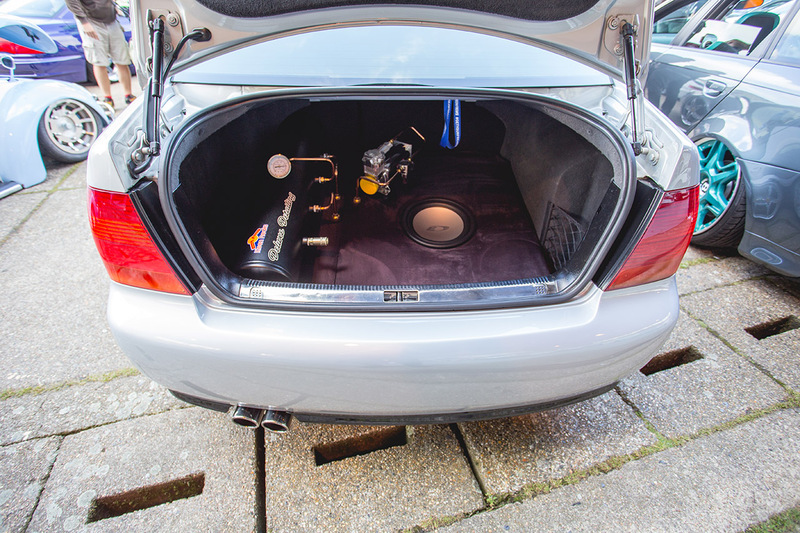 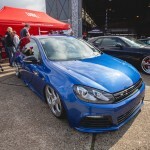 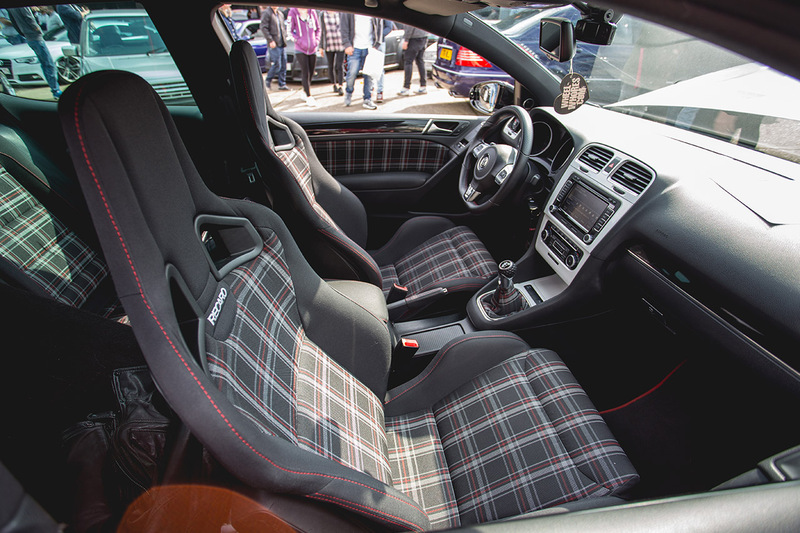 They also showed their MK6 Golf R; both were sporting Air Lift air ride kits. 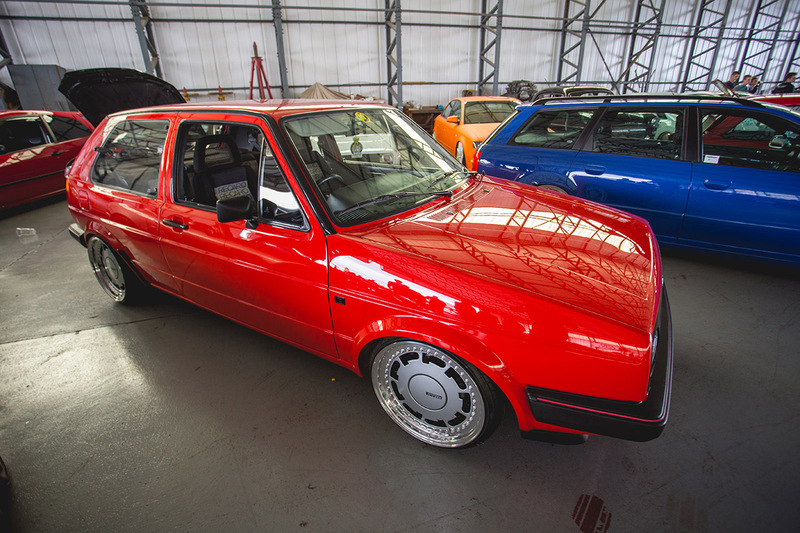 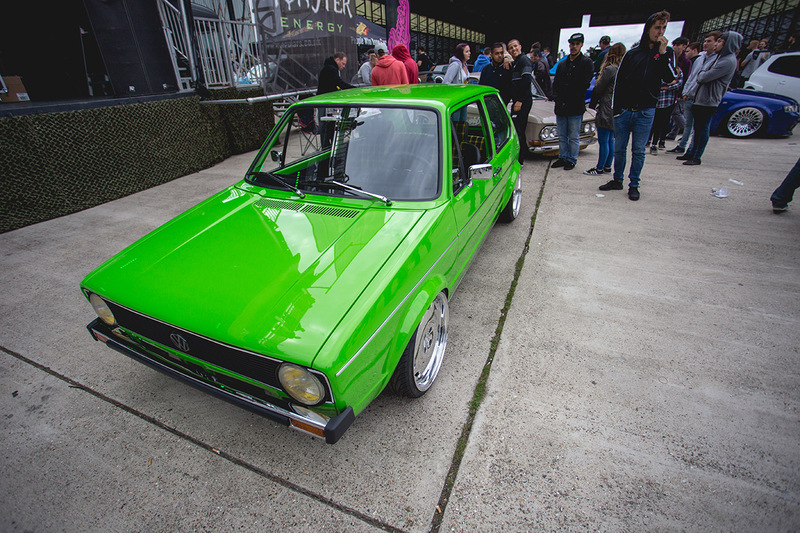 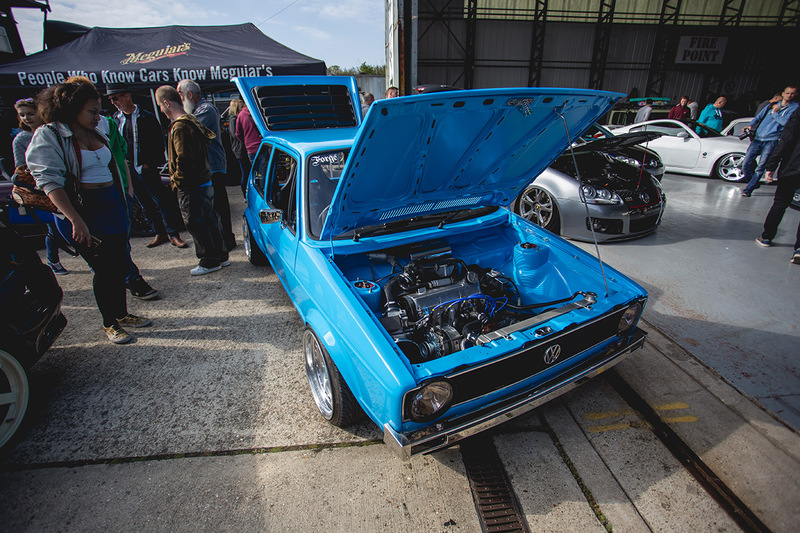 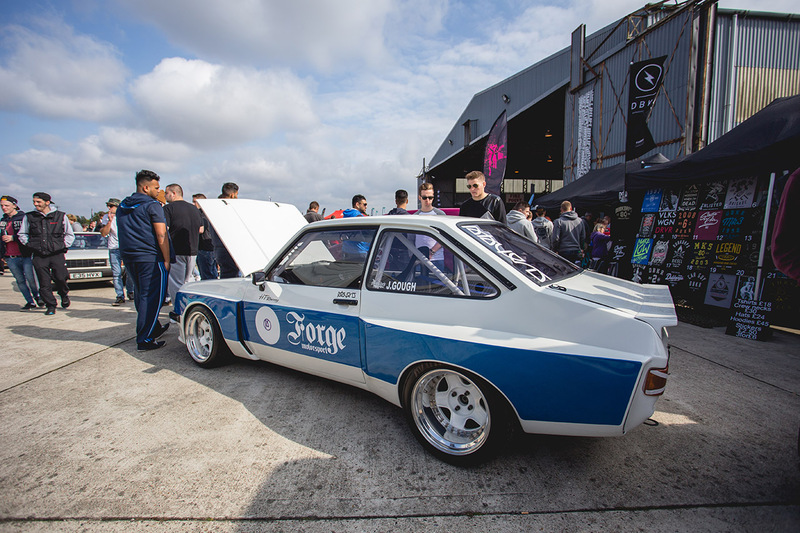 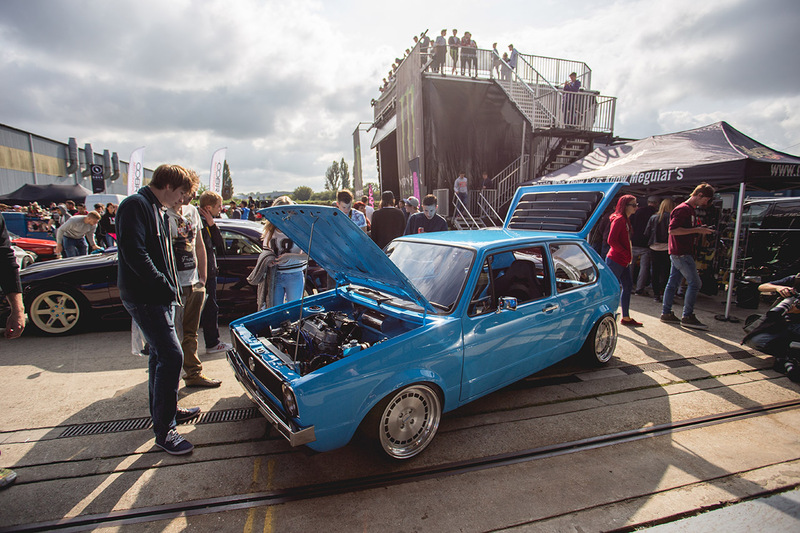 Zac from Forge Motorsport was back with his MK1 Golf, this time with an ultra-rare rear window louvre…not to everyone’s tastes, but an awesome period accessory. 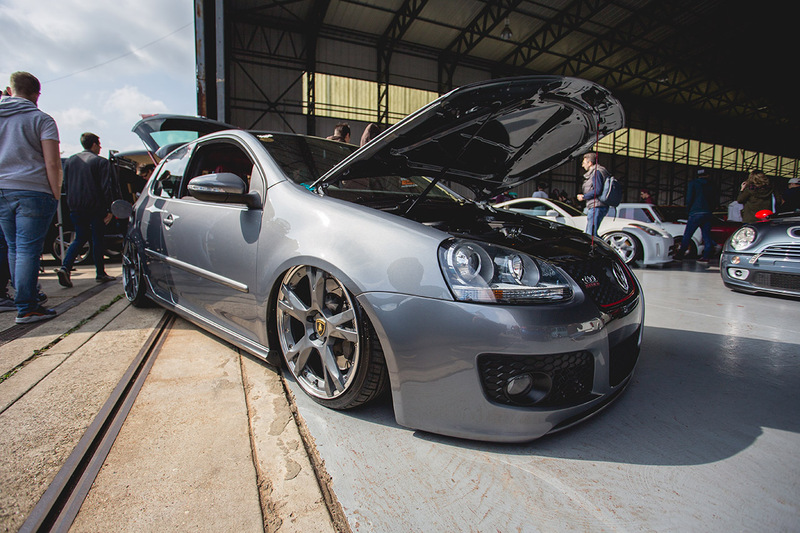 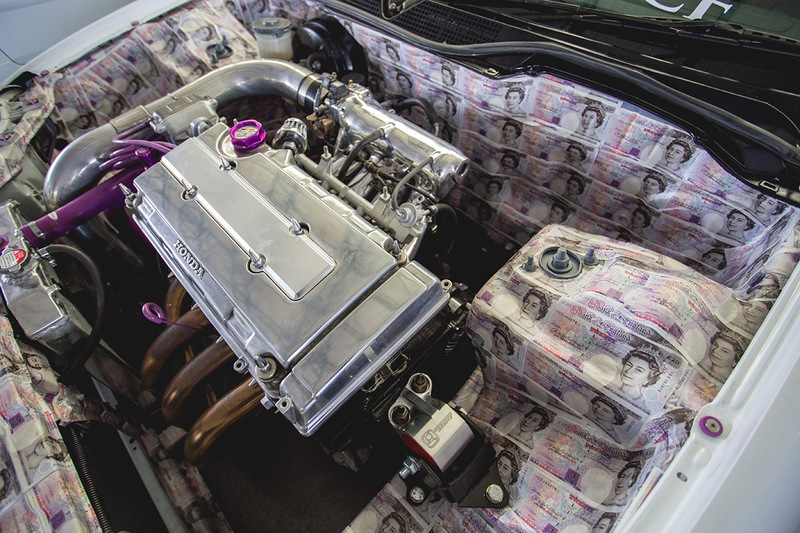 You can check out Zac’s build on some earlier posts on the blog, Zac was one of the first in the UK to fit up the new Airlift MK1 Golf threaded body kits. 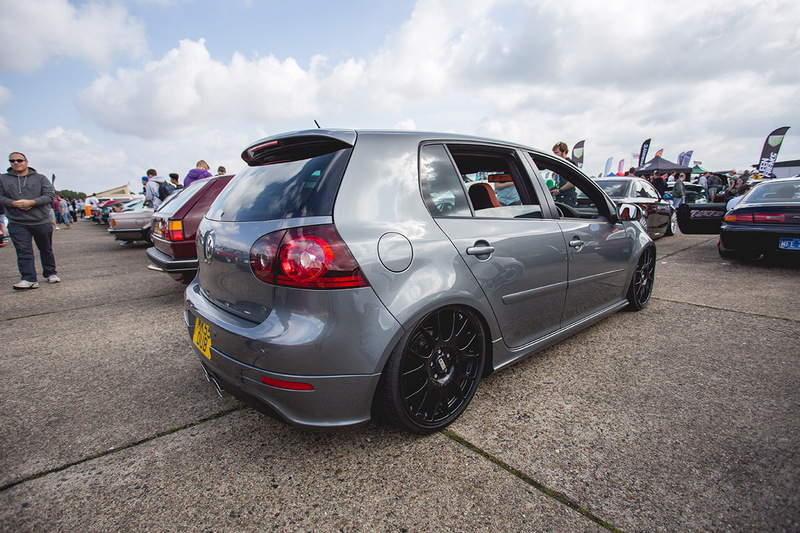 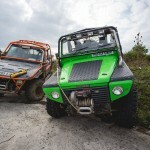 We seriously love this car! 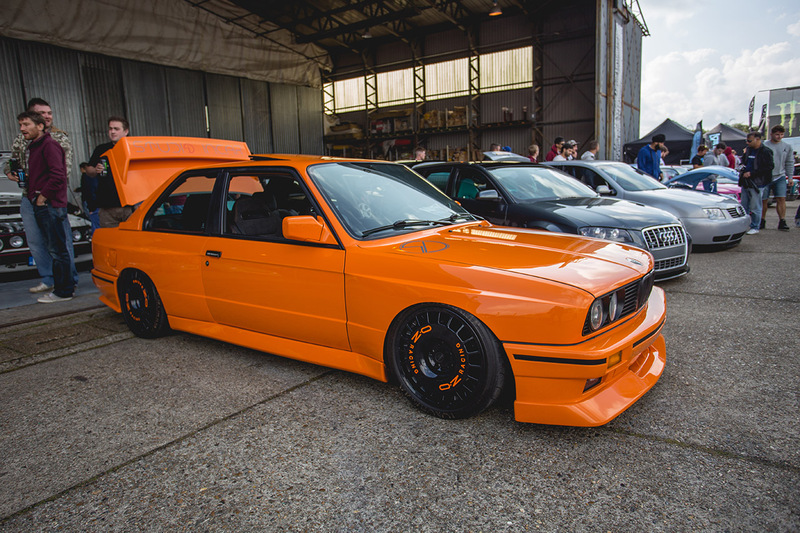 Another car we have covered on the blog in detail was Nick’s E30 M3, looking great in orange and fresh from a Lethal Bizzle music video shoot. 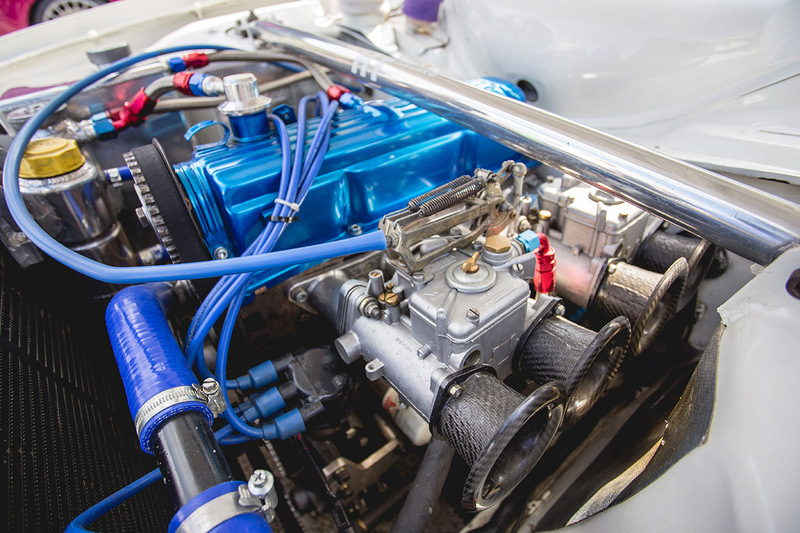 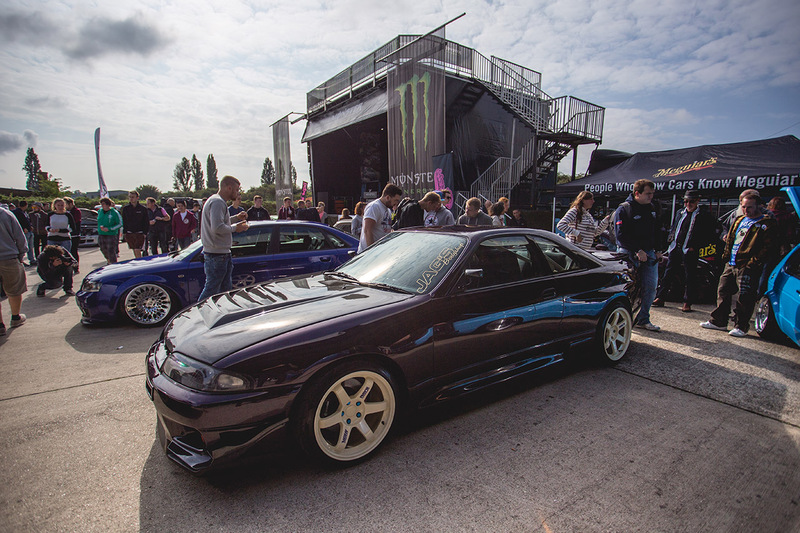 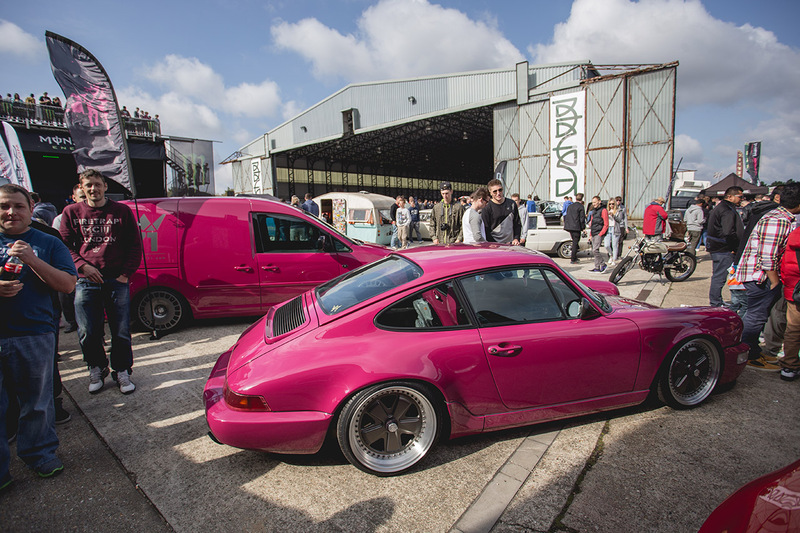 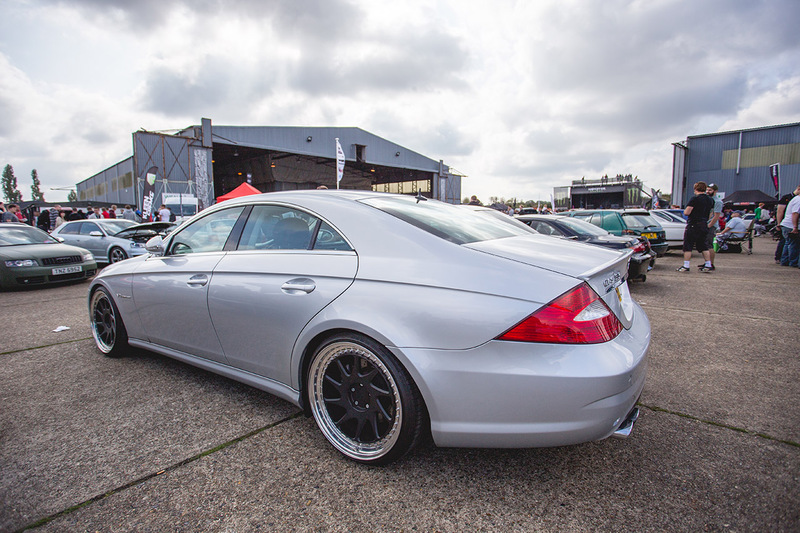 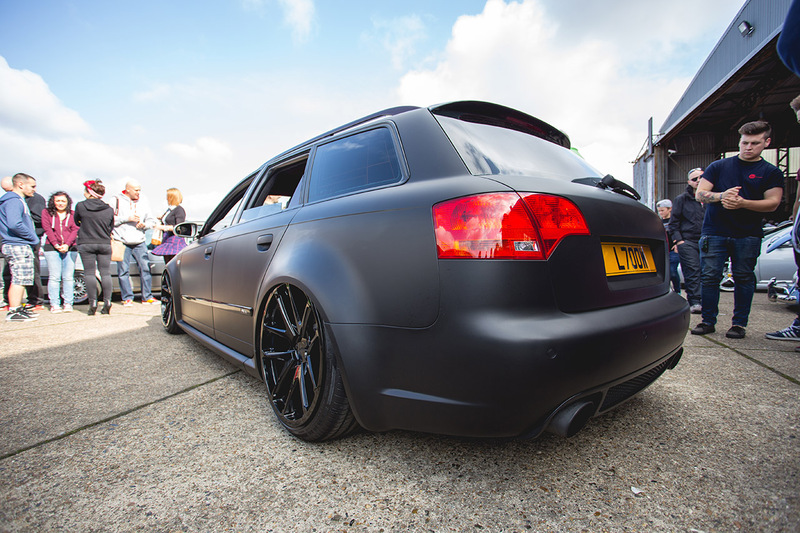 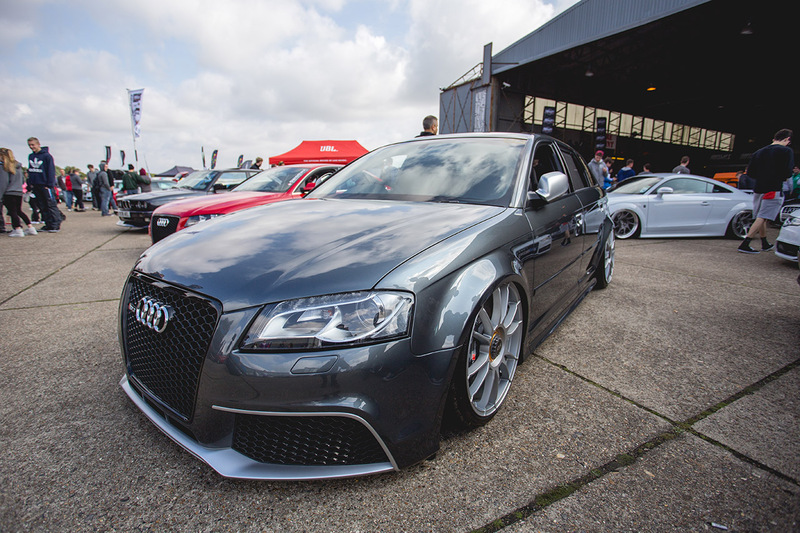 It’s awesome to see so many different types of build in one place and great to see so many people utilising Air Lift to achieve their perfect look. 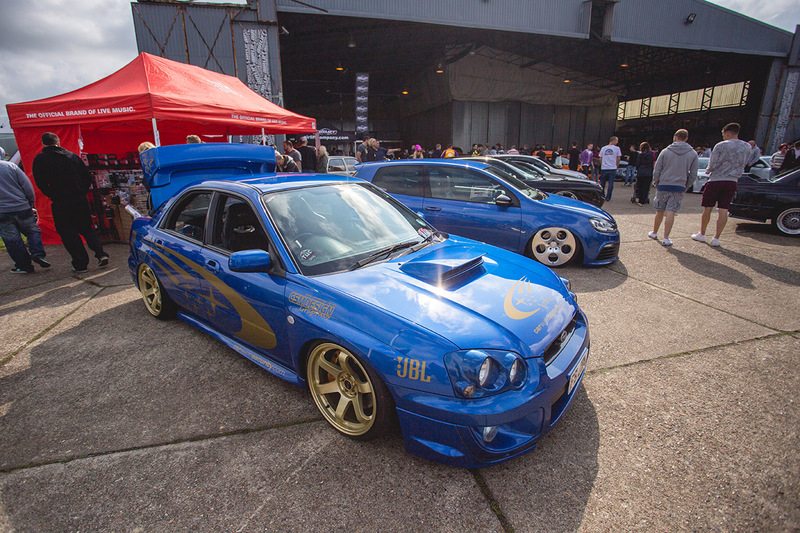 Check out the gallery for our other highlights of Players Show 2014!